The facilities' architects at John's Hopkin's Children's Hospital designed sculptural furniture that is both functional and comfortable, and throughout the buildings, art is incorporated in unexpected places. 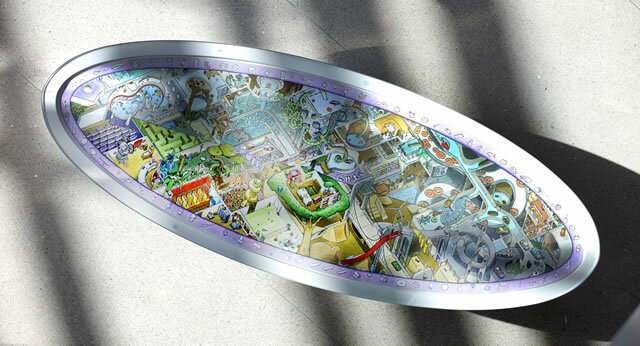 Below are details of a 100" wide welcome table with art by Teplin. The drawing lies flat on the surface of the table beneath a 1" thick piece of glass. 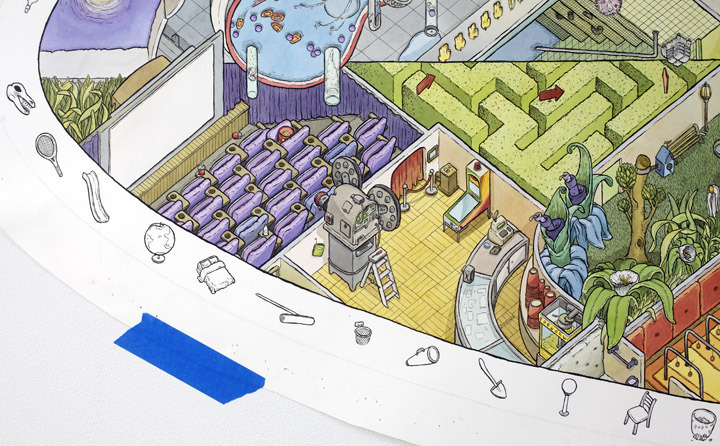 In addition to the table-drawing commission, the hospital also purchased the original Alphabet City watercolors A - Z for the children's library.